The north east’s largest bus operator has won a £8.5million contract to provide new services to National Express – creating 15 new jobs. 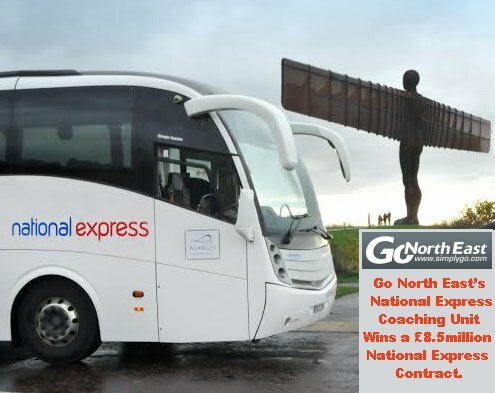 Go North East, which has been operating National Express coach services for over 40 years, has won a competitive tender to secure a new five-year contract. The deal involves providing three new routes in addition to the 14 country-wide services it runs already. The new services are Ashington to London, South Shields to London and Lichfield to London. Go North East is purchasing four new coaches for the contract and an additional nine vehicles are being bought to upgrade the existing fleet of 24 coaches. In its bid, the bus company put forward a number of additional quality standards it will meet, on top of those specified by National Express. These range from doubling the frequency of engineering inspections, to enhanced staff training, to increased promotion of services. Go North East is running both internal and external recruitment campaigns, including open days, to recruit full-time and call-up coach drivers.